In order to see Tim Noble and Sue Webster's sculpture of Isabella Blow's head provoked many different reactions from the group. A piece constructed almost entirely from taxidermy is always going to polarise opinions. I, personally, was struck with intrigue towards the image when I first saw it and immediately wanted to learn more. 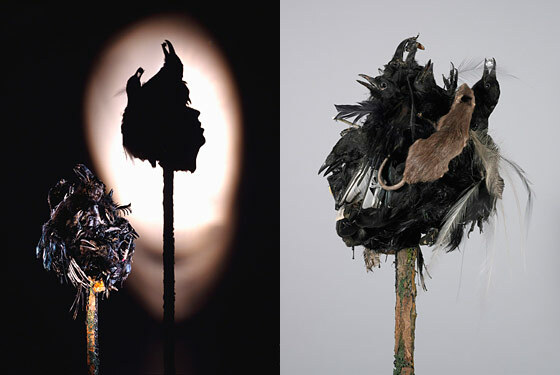 According to the National Portrait Gallery, Noble and Webster used the imagery of a head on a stake and constructed the piece from mainly dead rats and ravens in order to reflect on Blow's own mortality and suicide (on May 6th, 2007, Blow tragically ingested the weedkiller Paraquat and passed away the next day). The inclusion of a Manalo Blahnik heel and red lipstick container adds something of Issy's own personality to the piece, whose key style was underpinned by these two features. 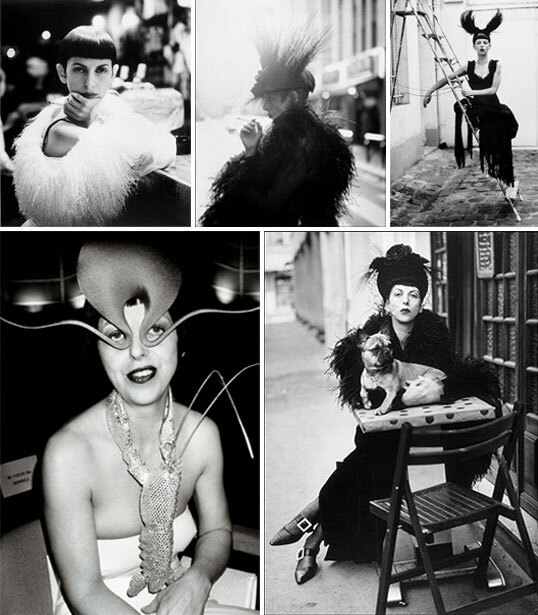 In fact, Isabella has a close relationship with taxidermy herself, often wearing extravagent headpieces and hats made for her by Philip Treacy using a number of different deacesed creatures. Not only does the image hint towards the world of fame, it could also be said to hint towards concepts of beauty or, more aptly, what we consider to be ugly. Blow had been quoted that, although it pained her to say it, she considered herself ugly or an "alien". In fact, the reason she wore such extravagant hats was because it was "a cheaper and less painful form of plastic surgery". Through these quotes of Isabella's we can see a woman torn apart by the hegemonic images of beauty perpetuated in the media, leading her to believe that her unique visage could never be considered beautiful. However, there were many who would have regarded Blow's face to be something of a wonder, and it was not rare for her to be featured in magazine photo shoots. The use of taxidermy can therefore be a metaphor for the paradox of Isabella's beauty - although many would consider stuffed, dead animals to be disturbing, ugly and unpleasant to look at, many other people would take great delight in their ability to capture the original beauty and life of the animal. The exhibition, therefore, evokes many different but equally strong reactions and thoughts from the viewer. Whilst mainly focusing on the issues of mortality and death, perhaps (ironically) the themes now most famously associated with Isabella's life, the sculpture also challenges aspects of wider society, in particular the worlds of fame and fashion that Isabella so fully lived in.